Aren’t campfires great? I’m sure you can all picture a time when you and family or friends sat around a campfire and just told stories. Perhaps it was fond memories of your childhood, or those awkward days of junior high. The legends tell the famous high school story of how their team took state. Sometimes, we share stories of a loved one that’s no longer with us, and we spend time reminiscing about the times we shared with them. It seems as if time slows down and as you stare into the flames the stories get bigger and bolder. All of us have a story to share. Funnily enough all of us began as babies and grew up. We learned to walk, to ride a bike, to tie our shoes. We learned that homework in junior high wasn’t all that bad, because it was way worse in high school, and for some of us college and university almost killed us. Some of us went from high school into the work force, or trades or started our own businesses. We all have stories of how we have gotten to where we are. Do you ever feel like your story shouldn’t be shared? It’s not big enough, it’s not crazy enough, you haven’t had a life of drama, or your hardships haven’t been that hard. I want to encourage you that your story matters and needs to be told. Each of us has struggled in our own way and God has helped many of us find the right path and direction for our lives. Those are the stories that need to be shared. There could be a person in exactly the same position as you who isn’t sure of what to do. Your story can help them overcome. And don’t worry if you’re not a gifted speaker­—there was a man in the Bible who was blind and Jesus healed him. When everyone started to harass him and ask him questions He answered, “Whether he is a sinner I do not know. One thing I do know, that though I was blind, now I see.” John 9:25. So, whether it’s a campfire, dinner, or coffee with a friend, I want to encourage you to share your story! Ben Hayes is youth pastor at the Church of God of Exeter. He may be reached at bhayes@choge.org or 559-592-2631. 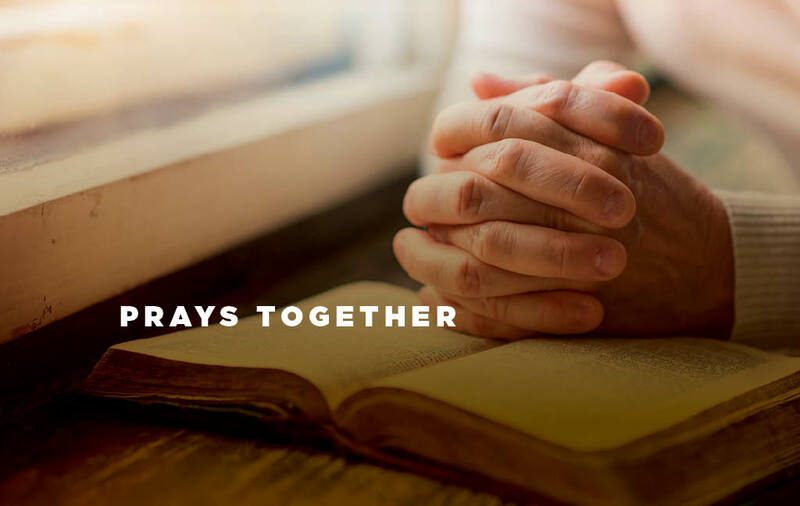 Prays Together is a rotating column between the pastors of the First Presbyterian Church of Exeter, Church of Christ of Exeter, Nazarene Church of Exeter, Church of God of Exeter, the New Life Assembly of God and Rocky Hill Community Church as well as the Lemon Cove Presbyterian Church. This column is not a news article but the opinion of the writer and does not reflect the views of The Foothills Sun-Gazette newspaper.